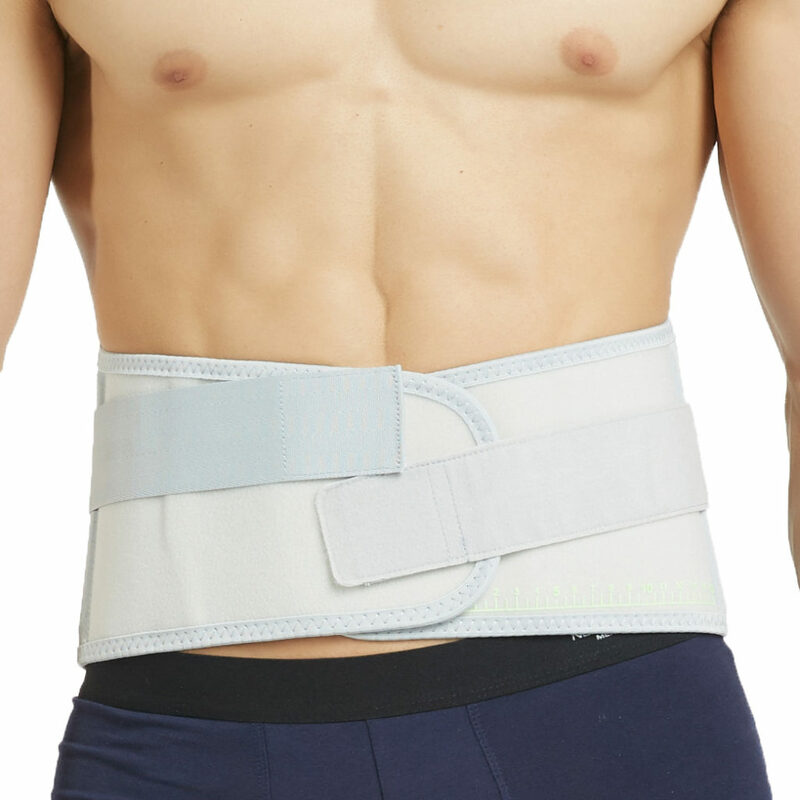 This back brace is made of very strong, highly breathable and elastic material. It is designed to tighten, prevent and help relieve pain caused by overuse injuries and repetitive motion. It has 2 compression straps with a pulley-like system to add extra adjustability of compression. Its design makes sure that the added compression is focused on the back area and not all around your waist. It helps to ease back muscle spasms and low back pain associated with a herniated disc and spinal stenosis. It is ideal for central backache and/or pain radiating as far as the buttocks. It is designed to help reduce unwanted twisting movements and is ideal for people with a manual occupation or sport where lifting may be involved. It also facilitates good posture by preventing a slouched position in the lower back.